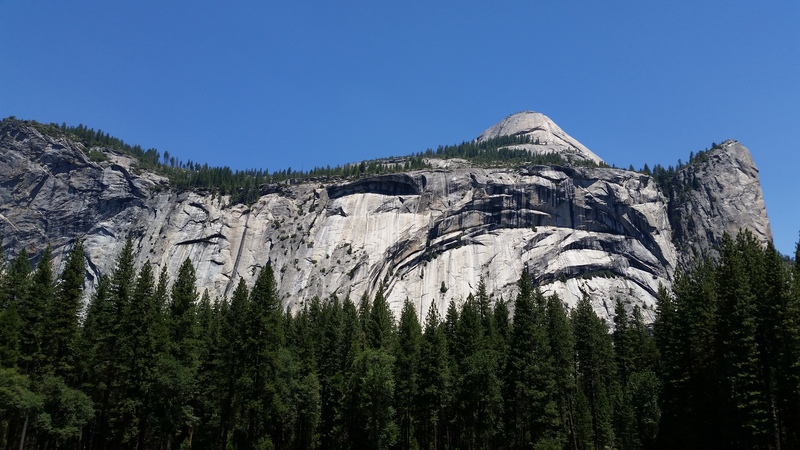 yowser Yosemite! – RV Cheaper! July 1, 2014 December 29, 2014 RV Cheaper! since we are still part timers and cross country trips are going to be a once a year event at best for a while, we have not fit a tow car into our plans (or budget) yet. 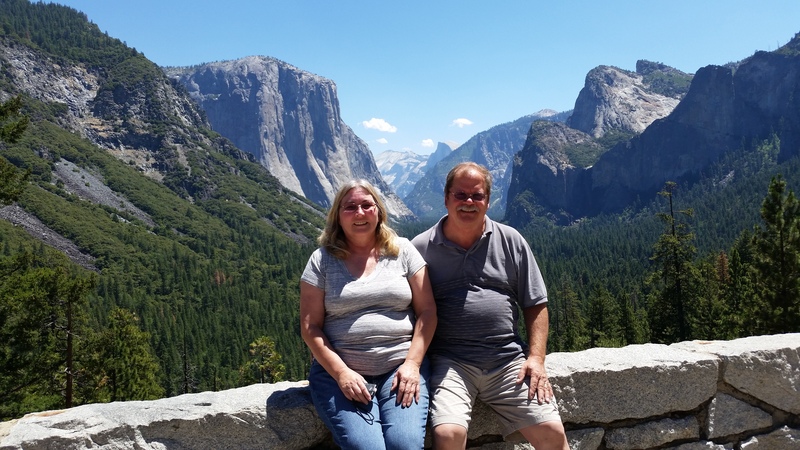 Since we were camping just outside Yosemite, we had the adventure of driving down into Yosemite Valley with the RV and WHAT AN ADVENTURE! 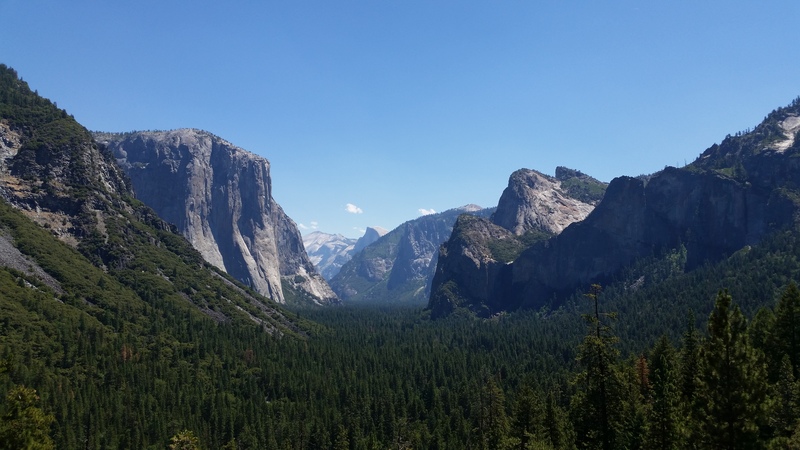 When we came out of the tunnel and saw the valley in front of us, I was still reluctant to pull over into the Tunnel View parking lot with the big RV but luckily I decided to go for it. Once we spent some time there I was so glad I took the time to stop (and relax my knuckles). Getting back out on the road was a bit of a chore with a 33 foot RV, but the view was so worth it! 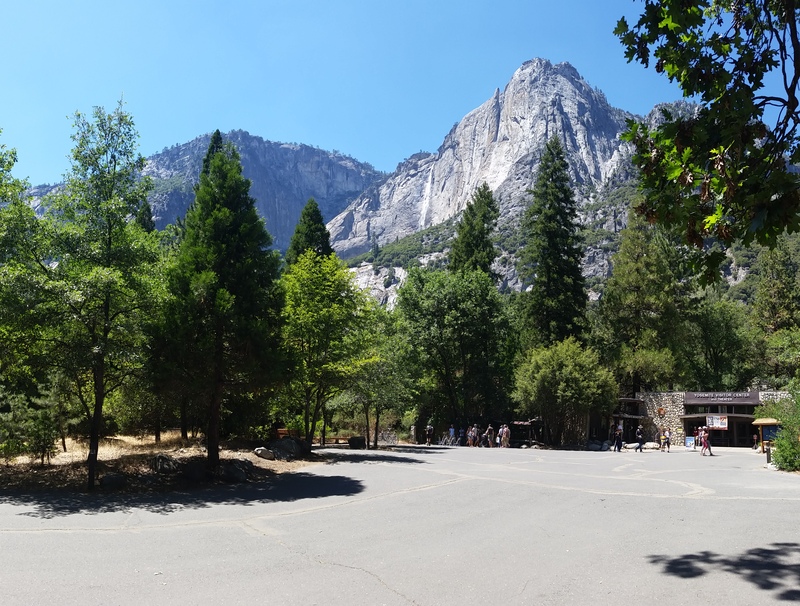 you can’t see it from here, but that narrow looking valley is very, very wide with roads, large parking lots, recreation sites, campgrounds, stores, restaurants and other national park facilities! The solid Granite mountains are so huge they dwarf everything else. The Tunnel View vista, pictures truly don’t show the size of those mountains. here’s a few of my favorite sights from the valley. 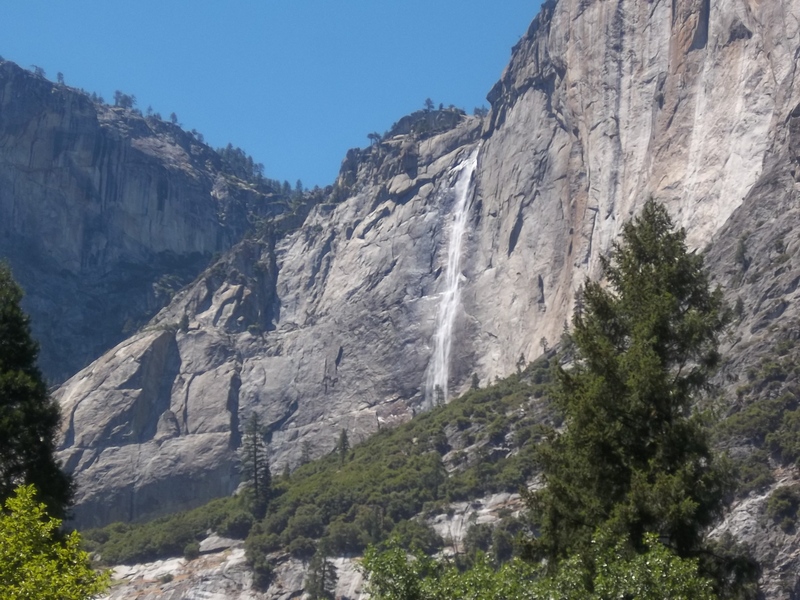 I would love to spend a week or more camped in Yosemite Valley so I could explore the trails and many other sights I could reach by bike or car from a base camp in the valley. I’ll be back some day. Next sequoia how are ya? 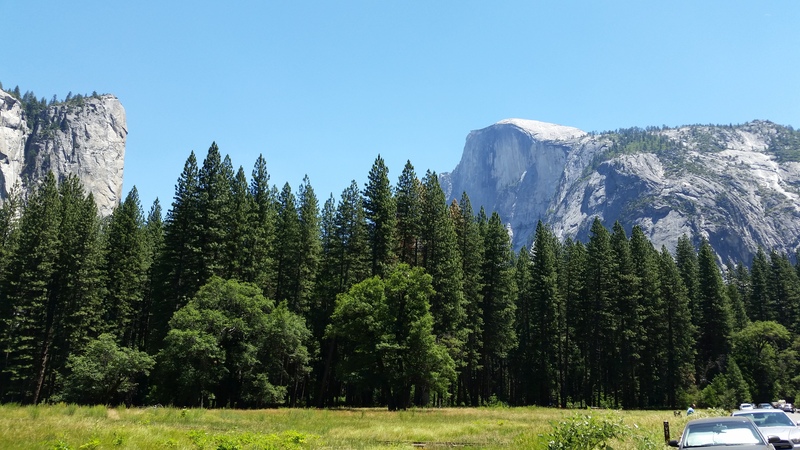 Yosemite is such a grand place! We actually camped in one of the tents in Curry Village in mid-May a few years ago and loved it so much. The campsites in the park are pretty much impossible to get, as I understand, but if you’re up for the big tents in Curry Village, by all means, give it a try sometime. We hope to do that again sometime ourselves. Curry Village is right on the bus routes, and there are several great trails nearby, and the dining places in the village worked well for us. Yosemite has and still is my favorite NP. And yes you have to come back, there are still things to do and see out there.